The British Embassy in China is located in Beijing and is one of the largest British Embassies in the world.The Embassy is located near to Qualcomm Semiconductor in Beijing. If you have lost you passport while on holiday in China then you can apply for a British Passport at the British Embassy in Beijing. You can also apply for a visitors visa to holiday in the UK, or if you are married you can apply for a spouse visa for your Chinese wife or fiancee visa for your Chinese girlfriend. 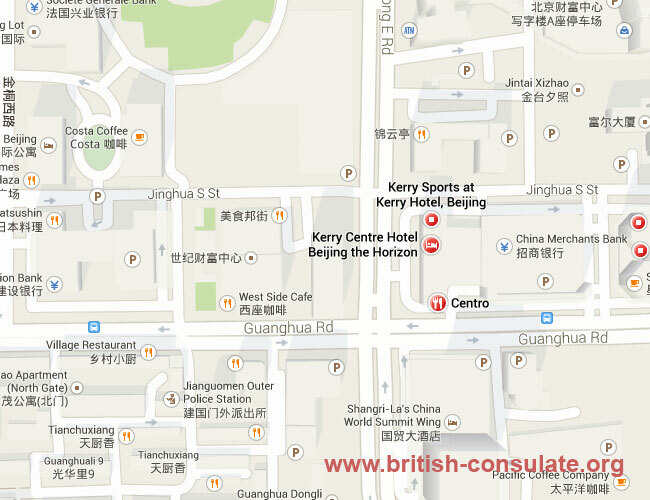 We have listed the British Embassy in Beijing’s telephone numbers, street address and a map to find the embassy in Beijing. If you have more questions then send them an email as they would more likely respond to emails than a letter or telephone call. Also note their office hours if you are planning on visiting the embassy in person. 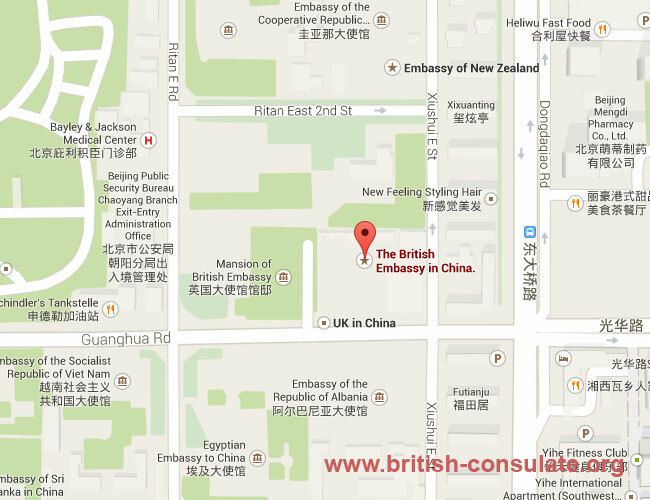 There are a number of British Consulates in China. There is the British Consulate in Guangzhou as well as the British Consulate in Chongqing as well as the British Consulate in Shanghai and the British Consulate in Hong Kong. If you need more information about the BNO renewal process or the BNO visa free countries then contact the British Consulate in Hong Kong for more information. These are the average times taken by the British Embassy in Beijing to issue a visa for a Chinese national. If you need to speak about the process then send an email to any of the embassies or consulates listed on this page. The British Embassy normally takes less than 40 days to issue a British visa in China. Speak to the embassy staff in your region for more information and assistance.